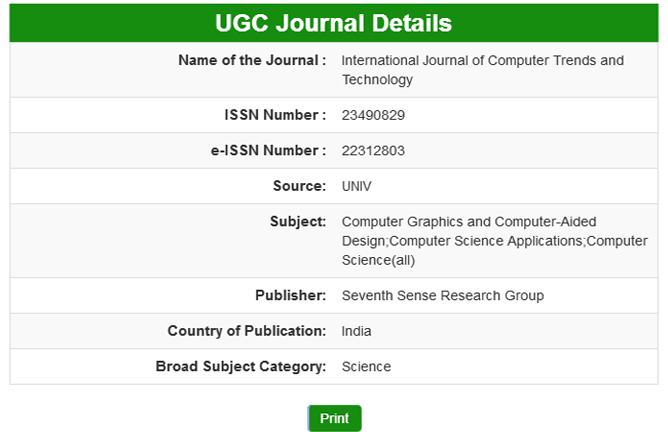 International Journal of Computer Trends and Technology - IJCTT welcomes the original research article, long papers and short papers for the issue of April 2019. Manuscripts submitted to this journal will be deemed as they have not been published and are not under consideration for publication elsewhere. Submit your paper in the form of Mircrosoft word format(.doc or .docx) , if you were used latex then send it PDF format. Refer the topics (not limited) listed in the website. Please kindly submit your article in the form of IJCTT template.